A tough but skilful inside midfielder who later became a highly successful coach, Mathew Armstrong has left an indelible mark on the Tasmanian football landscape both on and off the field over a 30-year involvement with the game. Born in 1967, Armstrong was a prodigiously talented junior sportsman, representing Tasmania in national championships for both football and cricket at Under 16 and Under 19 level. It was around this time that his senior football career began with Hobart in the TANFL, where he made his debut aged 16 in 1983. He spent four seasons at the Tigers, playing more than 50 games and representing his state again – this time at the Teal Cup – before being taken at Pick 24 by Fitzroy in the 1986 National Draft. It was soon obvious that the Lions had picked up a very handy young player. Having made his senior debut in the opening round of 1987, Armstrong missed only four games in his first three seasons and cemented himself in the Lions’ midfield. He also impressed to the extent that he was selected for State of Origin football, representing Tasmania at the 1988 Bicentennial Carnival and both Tasmania and Victoria the following year. Unfortunately, after another promising start in 1990, Armstrong suffered a serious knee injury against Collingwood at Princes Park in Round 8 when Magpies’ skipper Tony Shaw ran across him. The injury kept Armstrong out of AFL football until Round 17 of 1991. He nevertheless continued to ply his trade diligently for the Lions, racking up high disposal numbers every season. At the end of 1994 Armstrong left Fitzroy, joining 1990s superpower North Melbourne under Denis Pagan. Armstrong started brilliantly at Arden Street, playing all 25 games in 1995 and finishing second at the club for disposals behind Best and Fairest winner Wayne Schwass. 1996 looked to be continuing on the same pathway, but with the Kangaroos steaming towards a premiership, Armstrong was dropped late in the season. He returned for the preliminary final victory over Brisbane but was omitted again for the grand final, missing North’s premiership triumph over Sydney. His omission did not sit well amongst his teammates and North Melbourne skipper Wayne Carey made special mention of Armstrong during his speech on the dais while accepting the premiership cup. Coach Pagan later admitted that dropping Armstrong from the grand final team was one of the hardest decisions he ever made in his 20+ year coaching career in the VFL/AFL. The 1996 preliminary final was to be Armstrong’s last game at AFL level. The following year he returned to Tasmania, signing as captain-coach of North Launceston in the TFL. In his first and only year at the helm, Armstrong guided the Bombers through an undefeated season, defeating Clarence in the grand final to give the club its twenty-fourth senior flag and Armstrong his only premiership success as a player. Despite having signed as coach for two years, Armstrong decided to hang up his boots and resign from the role before the 1999 season to take up a position as an assistant coach under Leigh Matthews at the Brisbane Lions. He returned to Tasmania permanently after that season and in 2000 was appointed coach of the state’s Under 18 team, the Tassie Mariners. However he never commenced the job, as soon afterwards he was appointed foundation coach of the Tasmanian side that was to play in the VFL from 2001, the Tasmanian Devils. After a tough opening two seasons that produced only 13 wins, Armstrong gradually moulded the Devils into a highly competitive force on the VFL landscape, his task no doubt aided by some of the immense Tasmanian talent at his disposal, including Brett Geappen, Ben Atkin, Ben Beams and Ian Callinan. It was only a matter of time before the Devils announced themselves as a threat, and so it proved, with the side making their maiden finals appearance in 2003, recording a stirring elimination final victory over Geelong at Bellerive Oval before bowing out with a gallant loss to minor premiers Port Melbourne in the semi final. The following year Armstrong lifted the club to their best ever finish, a preliminary final loss, again to Port Melbourne. Unfortunately the success was not to last. After another semi final exit in 2005, a string of poor results saw Armstrong resign mid-way through the 2006 season, departing the club with a record of 49 wins from 112 games, a figure that hardly does justice to the superb job he did in making the Devils the great side they were. 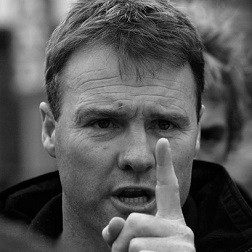 After his tenure at the Devils ended Armstrong remained heavily involved in coaching at state level, guiding the Tassie Mariners to multiple Division Two titles at the National Under 18 Championships, as well as coaching senior TSL representative teams to victories over Queensland and NSW/ACT. He also served as coach of the Tasmanian Under 18 and Under 16 academies for a time, shaping the development of a great number of future Tasmanian AFL draftees. He also established the Mathew Armstrong AFL Development School, a program for teaching the basic skills of the game to primary school-aged children, giving him the opportunity to influence the growth of yet more potential champions of Tasmanian football.